3 Great Valentine’s Day STEM Experiments to do with Your Wonder Lab! This Halloween, The Little Tikes Company, encourages you to test the touch, sight, and taste with some festive and fun sensory tubs. 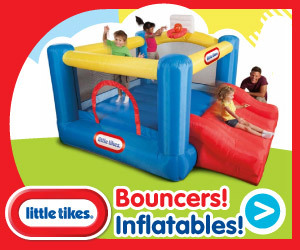 Little Tikes is all about play! Don’t hide out inside quite yet! Hosting a play date? Take a few pointers from Tales From the Nursery to make the day go smooth.